A home is many things, from being a refuge in which to raise a family to being the representation of personal style. At the fast-growing village of Mahogany Bend at Fiddler’s Creek, home can be all of these things. Located in Naples, Florida, on the northern border of the Fiddler’s Creek community, the Mahogany Bend community is already a favorite amongst golf lovers, as it overlooks the 3rd, 4th, 5th and 6th holes of the Rookery Golf course. But Mahogany Bend family homes also provide stunning lake views, and the safety that comes with being a quiet residential area within a larger gated community. What is more, Mahogany Bend’s close proximity to the Fiddler’s Creek Club & Spa, and world-class recreational and social amenities it offers, means Mahogany Bend community residents can has the source of an active and social lifestyle on their doorstep. Riviera II is a 1-story luxury home totaling an area of 4,753 sq ft, with 4 bedrooms, 5 bathrooms (1 half), substantial living area, extensive covered lanai, and 3-car garage included in the floor plan. Muirfield III is a 1-story luxury home totaling an area of 4,823 sq ft, with 4 bedrooms, 4 bathrooms (1 half), substantial living area, study, extensive covered lanai, and 3-car garage included in the floor plan. 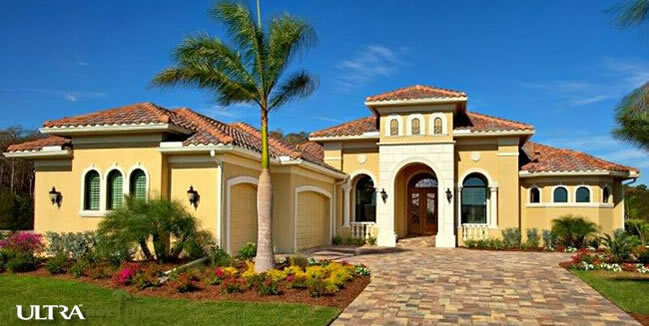 Ponte Verda Grande is a 1-story luxury home totaling an area of 5,116 sq ft, with 4 bedrooms, 5 bathrooms (1 half), substantial living area, study, extensive covered lanai, and 3-car garage included in the floor plan. For more details on Mahogany Bend at Fiddler’s Creek and life in the Mahogany Bend community, view the village brochure.